“Joe Colombo – Inventing the Future” is the first comprehensive publication on the complete works of Joe Colombo, who died in 1971 at the peak of his career. Colombo was not only one of the most successful industrial designers of his day, having created numerous design classics for companies like Kartell, Zanotta, Stilnovo, O-Luce and Alessi. He was also one of the most important visionaries of the 1960s. With his forward-looking interiors and living modules, he aimed to anticipate the “environment of the future”. 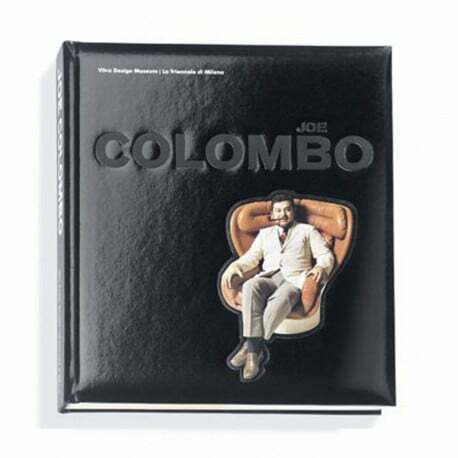 With detailed essays by leading experts on Joe Colombo’s work as well as high-quality reproductions of Colombo’s hand-drawn sketches, floor plans, objects and interiors, this publication shows how Colombo implemented his far-reaching visions of the future in internationally successful, functional design products.